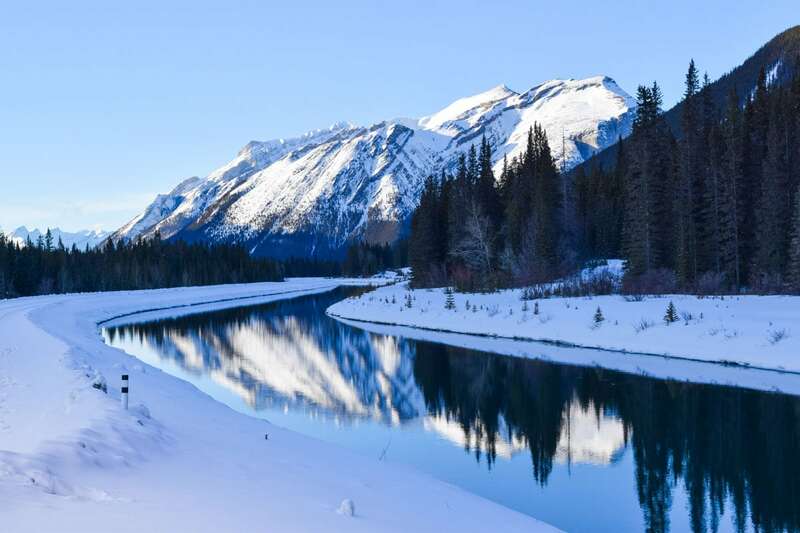 Is It Better To Visit Alberta In Canada In Summer or Winter? Home North AmericaCanada Is It Better To Visit Alberta In Canada In Summer or Winter? Snowy mountaintop adventures, or sunshine-filled hikes to bright blue lakes? 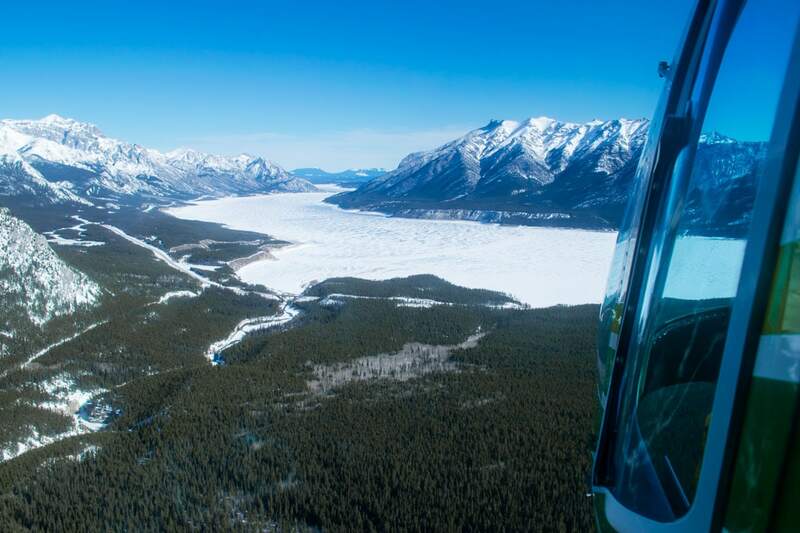 Visiting Alberta in Canada is a totally different experience depending on the season. A few months ago I went on an epic adventure through Alberta in Canada. It was my first time visiting the Canadian Rockies, and I totally fell in love with the scenery. I also loved the variety of activities. We could start the day snowshoeing through a forest, by the afternoon be on a cable car up a mountain, by the evening be at the hot springs, all before tucking into a gourmet meal in a cosy mountain lodge. It was somewhere I really connected with nature, and while I came back exhausted, I felt I’d really lived life to the full. Yep, all of those classic travel clichés! More than once I noticed myself saying ‘I’d love to see this spot in the Summer.’ I also said I’d love to travel across Canada by train – how magical would that be?! 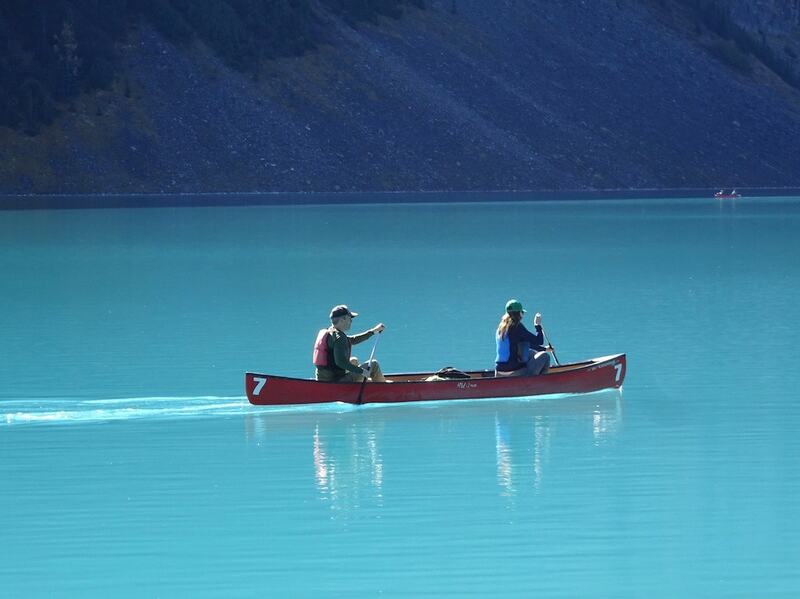 One moment in particular was when we arrived at Lake Louise. I looked out over the frozen, snow-covered lake, and while it looked very pretty with ice skaters twirling around on the surface, I longed to see the bright blues of the water below. 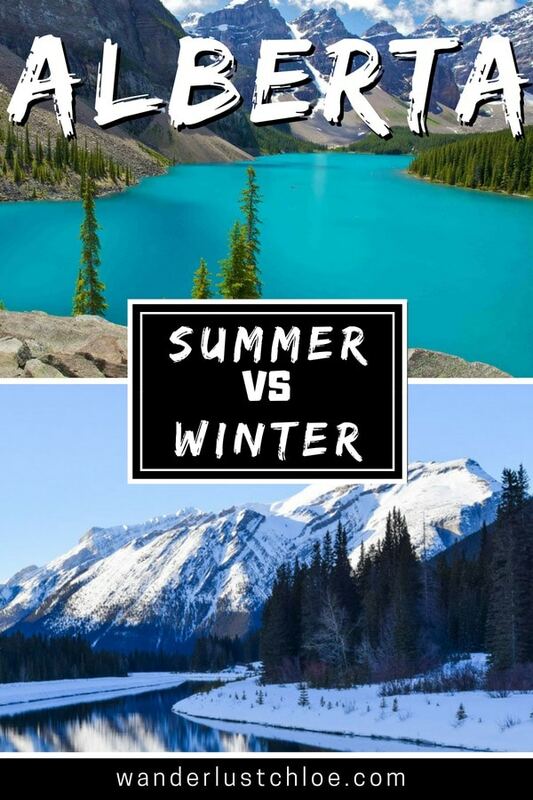 It got me thinking, is Alberta more of a summer or winter destination? Is it better to see it in the warmer months in the sunshine, or in the colder months in the snow? Is there more wildlife around in one season or the other? What about prices – is one season more expensive? Time to find out! Is Alberta A Summer or Winter Destination? Let’s start with this, as it might be the weather that puts you off visiting in the winter. In January, average lows are around -15°C, but you’ll experience cooler than that with wind chill or when at higher elevation. Thankfully it’s a dry kind of cold, rather than a damp one, and I was surprised that in March even with lows around -10°C it wasn’t particularly painful, especially with the right clothes on! July is the warmest month with average highs of 22°C. In the summer you have longer daylight hours, with sunrise around 5.30am and sunset not until after 10pm. In the summer you can expect to see some rain, and in the winter, you’re pretty much guaranteed snow! All part of the fun though right?! On my recent trip I heard Alberta was home to coyotes, elk, moose, lynx, snowshoe hares, wolves, cougars, bison, owls and of course grizzly and black bears – and that’s just to name a few! The wildlife is a huge reason to plan a holiday to the region, but when are you more likely to spot animals in their natural habitat? Well, firstly, a lot of it is luck! We saw so many animal tracks during our trip in March, and yet only spotted a few deer and a squirrel! 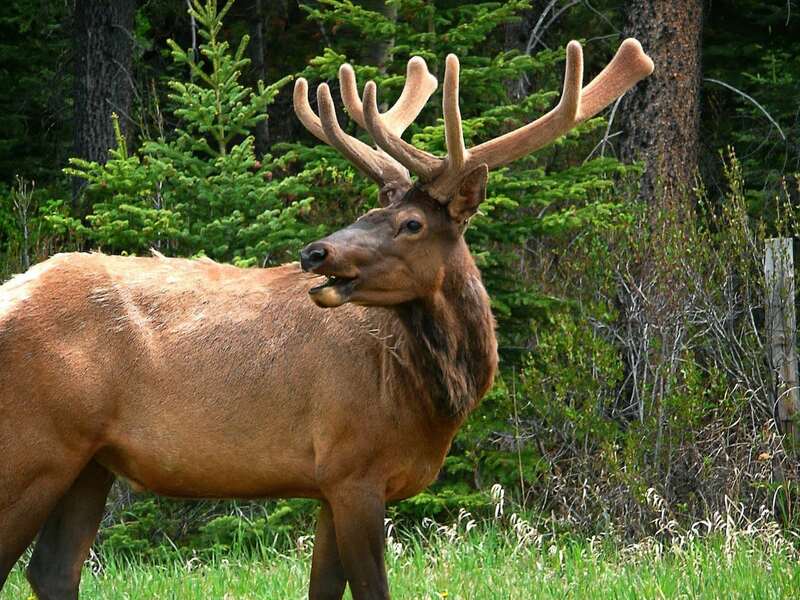 In general you’re more likely to spot wildlife in spring, autumn and winter as many of the animals prefer the warmer temperatures that come with lower elevation and being nearer to towns like Banff. 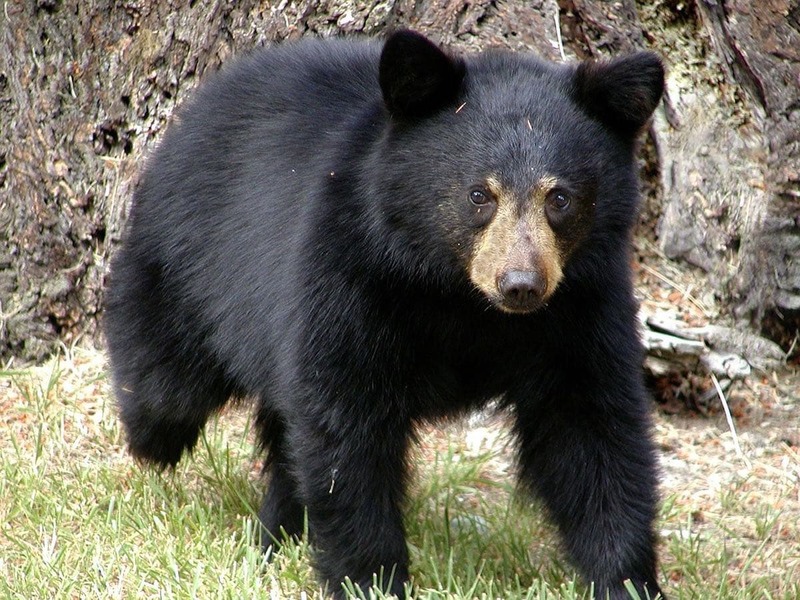 You’re unlikely to see any bears from October to May as they hibernate, but then perhaps that’s best anyway, for safety reasons! Your best chance is during the summer. Regardless of time of year, dawn and dusk are key feeding times, so consider planning your day around those. In the winter, roads are quieter but driving conditions can be treacherous. Oh, and there’s the added risk of avalanches around the mountains. Make sure you’re prepped and have winter tyres on your car! Summer months make for easier travel, but the roads are a little busier with tourists too. It’s also worth noting that there are some areas you just can’t reach in the winter, e.g. the route to Moraine Lake doesn’t open until mid-May. As July and August are busier months for tourism, you can expect accommodation and activities to be a little more expensive then. You can keep costs down by taking packed lunches or camping. This is a hard one, as it’s all about personal preference. 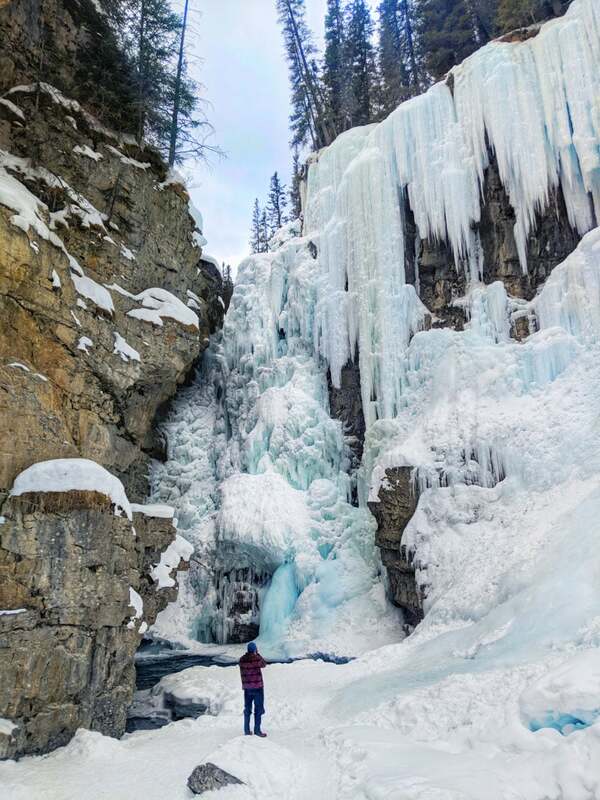 In the summer you’ll find beautiful flowing waterfalls in places like Johnston Canyon, but then in winter they freeze turning into beautiful shimmering frozen falls. In the summer the lakes are stunning shades of blue and turquoise, while in the winter they freeze over with a soft blanket of snow on top. 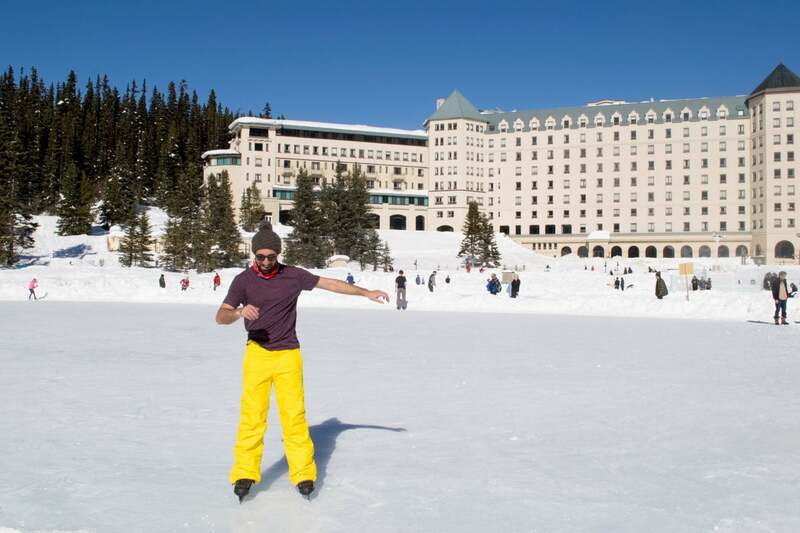 Visit Lake Louise in winter and you can skate on the ice, while over at Lake Abraham you can check out the ice bubbles – a natural phenomenon caused by methane gas getting caught below the surface. In the summer you can hike up the mountains, while in winter you can ski and snowboard down them! The views from the top of the gondolas are gorgeous in both seasons, but very different from one another. Which do you prefer? 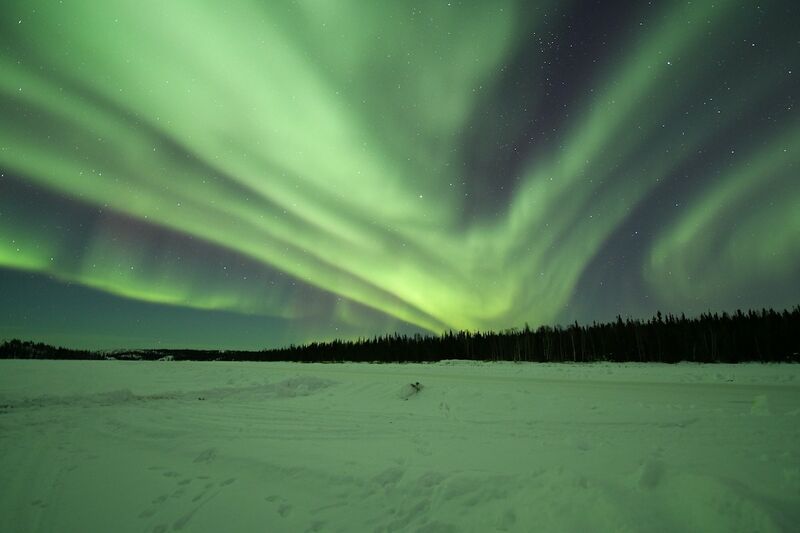 If you want to see the Northern Lights, then forget the summer months – it’s definitely best to visit in autumn, winter and spring. September until mid-May is the key period for viewing them, and you’ll want to get to somewhere with little light pollution. As days get longer, you’ll need to stay up later too! When we visited in March there were a few sightings but sadly we missed out. As you can imagine, the activities vary according to the season too. 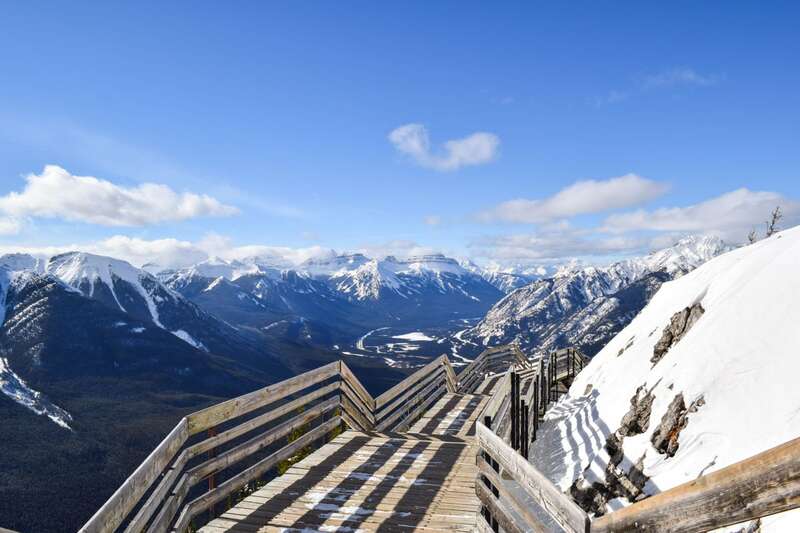 Winter ski and snowboarding trails are transformed into hiking routes in the summer months. You’ll swap snowshoes for hiking shoes and thick cosy jackets for lightweight ones as you enjoy the great outdoors. There are miles and miles of stunning cycle trails for summer months – it’s a great way to explore the region. Summer months open up options to kayak and canoe on the lakes, while in winter the closest you can get to the water is to climb up a frozen waterfall with a spot of ice climbing! As the summer months are busier, the prices for accommodation are pushed up considerably. However, with warmer weather comes another option – camping! 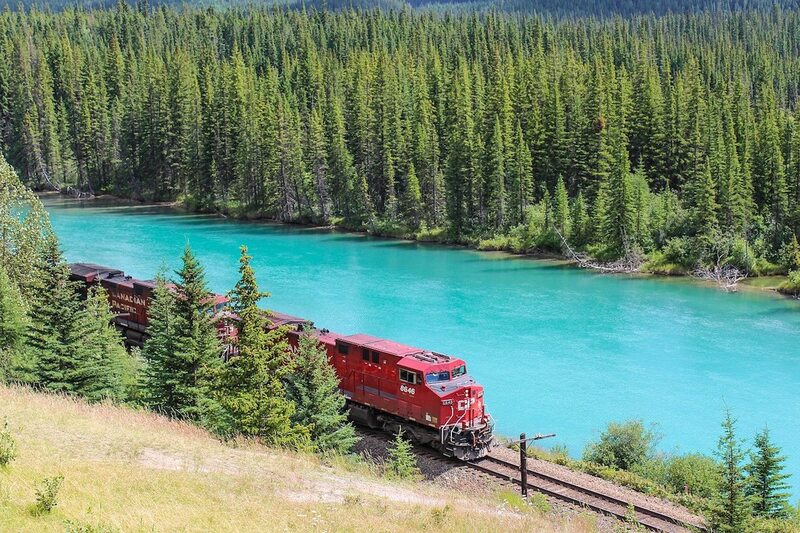 It’s a great way to experience Canada’s natural beauty, and cut down on costs too. Then again, there’s something undeniably cosy about Alberta’s lodges in Winter. On the final night of our trip we stayed in a snow-covered log cabin at Storm Mountain Lodge. It’s one of the most romantic places I’ve ever stayed, and as we fell asleep to the crackling fire, I was glad to have explored Alberta in the winter. Perhaps summer is next for me… who knows? So when is the best time of year to visit Canada? I still haven’t decided but perhaps a few more visits and I’ll have an answer for you! This blog post was produced in collaboration with Flight Centre. As always, all content is my own. Enjoyed this post? Pin it for later…. Stunning pictures! Alberta seems like a fantasyland. It really is nature at its best!